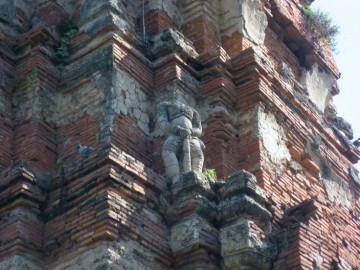 north of this deserted monastery. Public streets make this ruin easy to access. entered. The prang’s interior is hollow and full of bats. 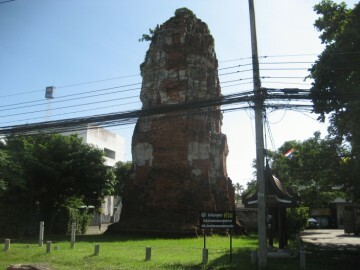 and geographic location suggests that it was constructed in the early Ayutthaya period. King Intharacha died in 1424, two of his sons fought on elephant back to win the crown. 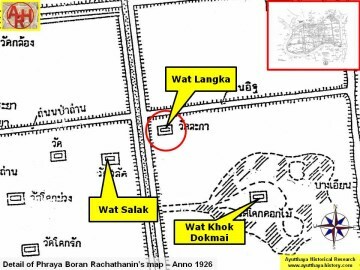 Chaiyaphum Monastery so as to enter the city by way of Cao Phrom Market"
third brother inherited the throne instead. 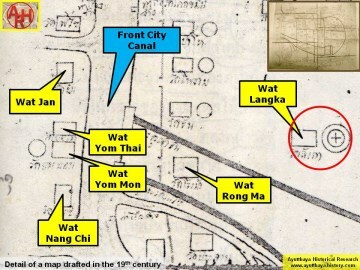 in the mid-19th century and on Phraya Boran Rachathanin's map of 1926. 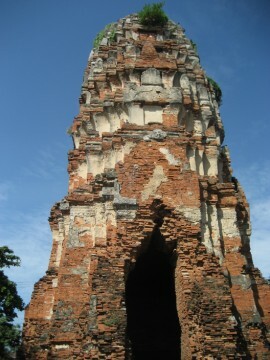 In my opinion there is no reference to this temple in the Royal Chronicles of Ayutthaya. year prior. 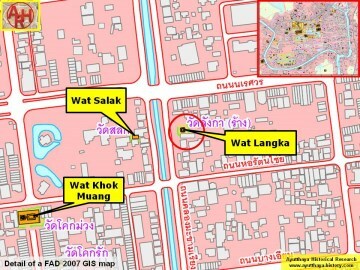 The approximate sum of 38,500 USD was allocated for the purpose. 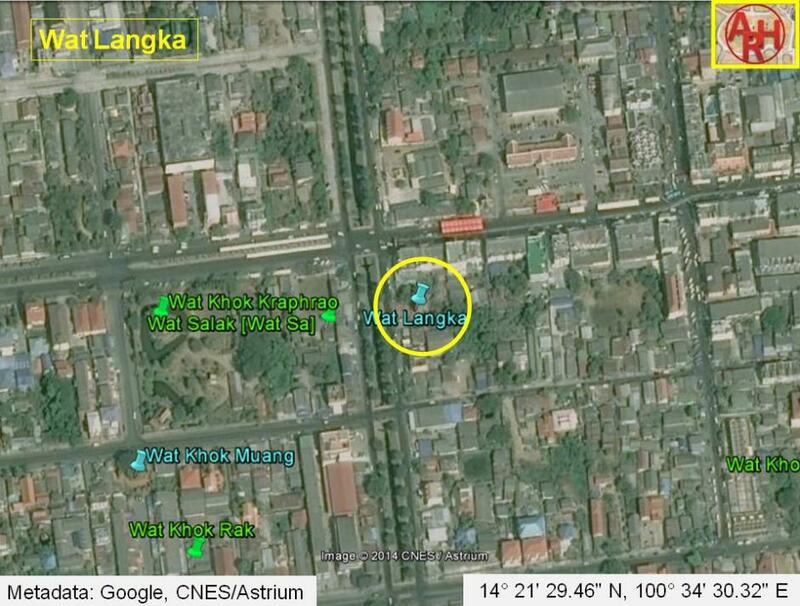 The site is located in Geo Coord: 14° 21' 29.46" N, 100° 34' 30.32" E.